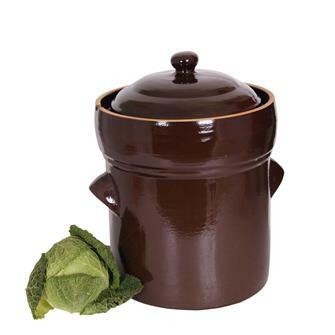 Ceramic pots for lacto-fermentation of meat and vegetables and sauerkraut. 10 litre pot for sauerkraut and lacto-fermentation in enamelled stoneware. 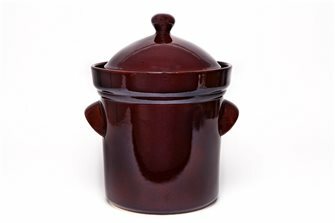 15 litre pot for sauerkraut and lacto-fermentation in enamelled stoneware. 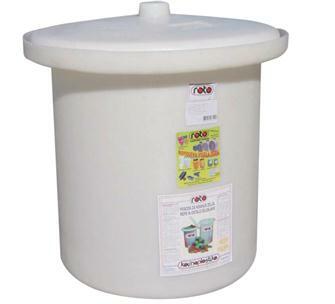 20 litre pot for sauerkraut and lacto-fermentation in enamelled stoneware. Sandstone sauerkraut and lactofermentation pot - 5 litres. Sandstone sauerkraut and lactofermentation pot - 25 litres. Plastic 15 litre sauerkraut pot with a water seal. 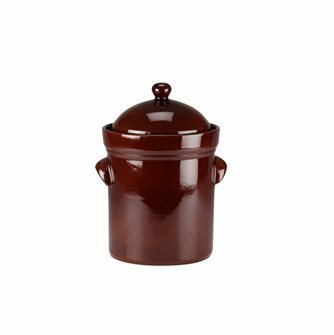 The jar measures 26 cm internal diameter and 35 cm in height. 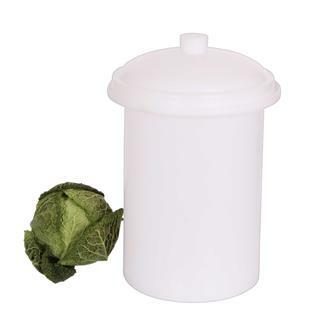 Plastic 25 litre sauerkraut pot with a water seal. 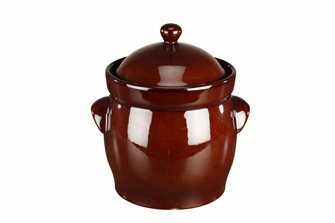 The jar measures 31 cm internal diameter and 40 cm in height. Plastic 50 litre sauerkraut pot with a water seal. 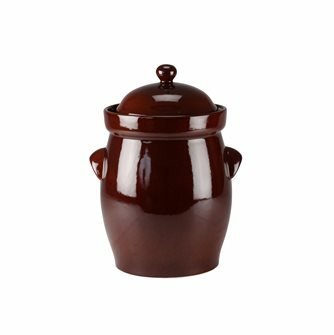 The jar measures 40 cm internal diameter and 67 cm in height. 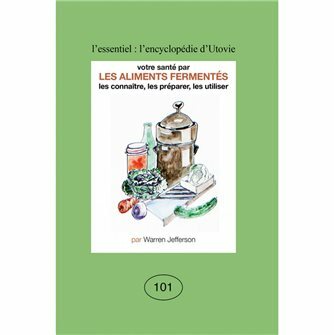 Book "Your Health Through Fermented Foods: Know Them, Prepare Them, Use Them" by Warren Jefferson 64 pages.